In an environment where the majority of us are overweight and looking to shed some pounds or kilos, how can we accurately monitor the amount of fat we lose on a daily, weekly or monthly basis? Here at Healtheo, we take a look at some of the easiest ways you can track your fat loss and get healthy in the process. Measuring fat loss can be a tricky subject at the best of times and many people confuse weight loss with fat loss. Even more still believe that the two are one and the same thing, however this cannot be further from the truth as discussed in weight loss or fat loss what’s the difference. WHEN SHOULD I MEASURE MYSELF? When taking measurements, it’s best practice to take your reading at roughly the same time of day and under the same conditions that you took the previous measurements. If your previous reading was in the morning before you ate and after going to the toilet then you should do the same for all subsequent measurements. Body weight can and does change throughout the day, with the change anywhere between plus or minus 1 to 2 kg (2.2 to 4.4lbs). See our article on body weight fluctuations for more information. A tape measure is a very accurate tool for measuring abdominal fat and only costs a few dollars. One of the quickest and easiest ways to track your progress to a slimmer and healthier you is to track your waistline. The Australian government, among others, advises through their measure up initiative that women with a waistline greater than 80cm (31.5 inch) have an “increased risk” of obesity-related diseases and women with a waistline greater than 88cm (34.6 inch) are categorised as being in a “greatly increased risk” category. 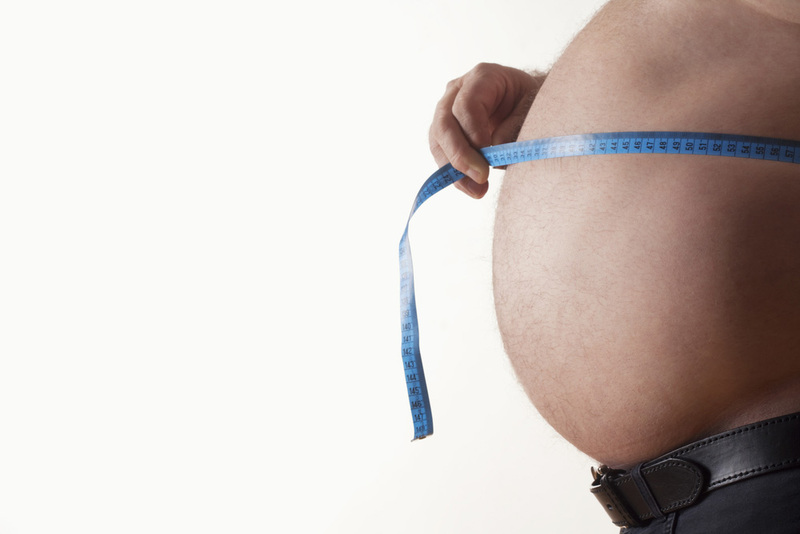 For men, the relative waistline measurements for the two categories are 94cm (37 inch) for an “increased risk” and 102cm (40 inch) for the “greatly increased risk” category. What does this all mean for you and your overall wellbeing? Simply put, women need to have a waistline of less than 80cm (31.5 inch) and men a waistline of less than 94cm (37 inch) to minimise your risk of obesity-related diseases like some cancers, heart disease and type 2 diabetes. How can your waistline predict these diseases? An increased waistline is a good indicator of the level of visceral fat deposits within the body. This type of abdominal fat wreaks havoc with your internal organs, and increases the risk of chronic disease. For more information, take a look at our article visceral and subcutaneous fat – which is the real killer. Abdominal fat is actually called visceral fat and it’s this fat that is a good predictor of possible future diseases, like some cancers, heart disease and type 2 diabetes. How to measure your waistline. That’s it…once you’re done you can jot down your measurement as and when you like. Any reduction in your waistline measurement is a good indicator of losing overall body fat. As a rule of thumb if you have bloating, cramps, swelling (and for women who are menstruating on the day of measurement), then it’s best to delay taking your measurements at that time. 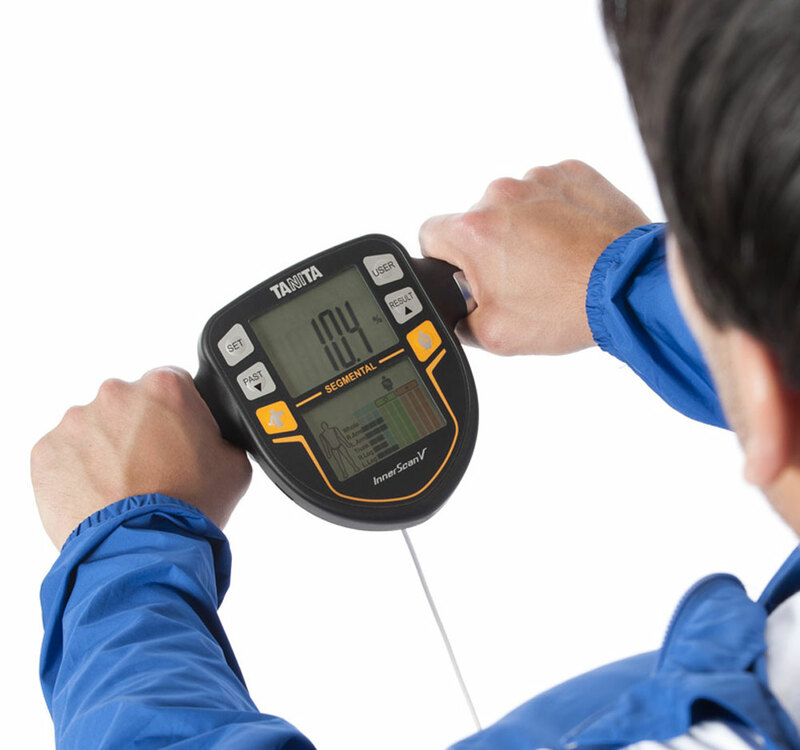 Taking measurements while having one of the above conditions will, in general, provide an inaccurate reading. It’s best to wait until those conditions have passed before taking your measurement again. Sometimes the bathroom scale doesn’t tell the whole story and a tape measure can help you understand if you’ve lost some fat or not, regardless of the weight shown on the scales. With that in mind and with no large bulky muscle groups to be found around your waistline, a reduction in your measurement is a good indicator of overall fat loss, irrespective of your actual body weight on the scales. For example, recently over a 4 week period I gained 3.5kg (7.7lbs) of muscle mass and lost 1.5kg (3.3lbs) of actual body fat with an overall net increase in body weight of 2kg (4.4lbs) – not what I wanted to hear at my DEXA scan, or was it?…food for thought. The trusty old bathroom scales, how the times have changed. Once the mainstay in every bathroom across the land but now a poor cousin to the many other options available in the market. 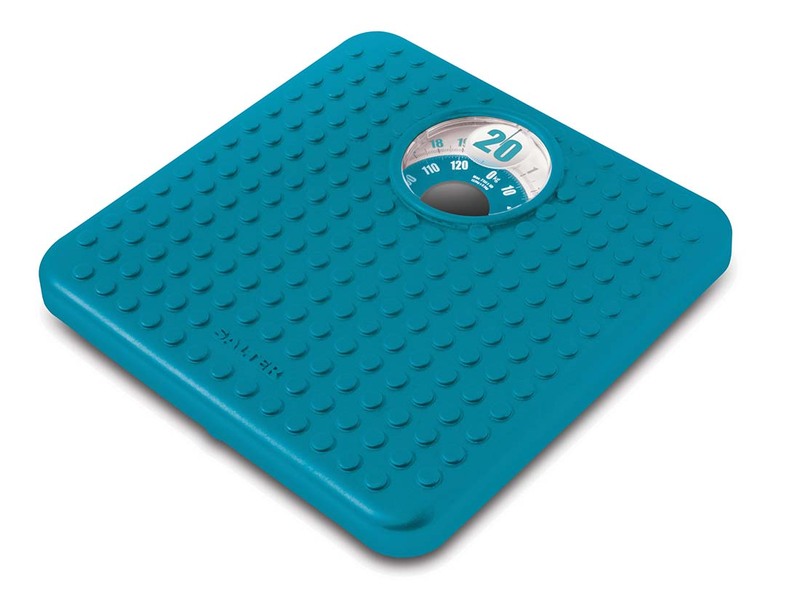 Bathroom scales have been around a long time and are a very good tool at measuring total body weight. At between $20-$50 they’re a great economical choice. But just how accurate are they at measuring fat loss? Does the ever resilient bathroom scale have a place in our fat loss tracking regime? What can be said is that digital bathroom scales are a very accurate tool in measuring the overall body weight of a person and much more economical when compared to other options. If overall weight loss was the only factor in losing fat, then I would say just buy a trusty bathroom scale and forget about the rest. This of course is not the case, and weight loss in most part is only a small section of a bigger picture and, I believe, one of the biggest reasons why many people become disheartened about their diet and fat loss progress. Let me explain further – when you first begin a diet and exercise regime you will inevitably increase your muscle mass at some point during the process and this is where it all comes unstuck for many people. For example: Jane has been taking long power walks and has been eating really well over the past week, however when she jumps on the scale she either hasn’t lost any weight at all or has actually gained some weight. Jane jumps on the scale and has not achieved a weight loss this week. Does this mean she hasn’t lost any fat? Using a bathroom scale and tape measure together will give Jane a better understanding of her actual fat loss than scales alone. Surely she hasn’t put on fat, and why hasn’t she lost any body weight? This is where the trusty bathroom scale falls down. It doesn’t give you an accurate reading of what is happening inside your body. For all we know, Jane could have lost 500g (1.1lbs) of body fat and gained the same amount in lean muscle, with one cancelling the other out. Ask any trainer, dietitian or doctor if that’s a good result and all of them will invariably say YES! This is because the name of the game should be fat loss not overall weight loss. Some extra muscle is good for you and helps by increasing your daily metabolic rate and in turn your body consumes more calories. This helps you reach your goal even quicker. But Jane doesn’t understand this, she feels defeated and scraps her attempt to lose fat and get healthy and goes back to her usual routine of no exercise and unhealthy eating habits, believing it’s all too hard. There is the additional issue of body weight fluctuations throughout the day, another big reason why you should follow the above advice regarding when should I measure myself. All that being said, the trusty bathroom scale can still have a place in our fat loss process, especially when used in conjunction with a tape measure. In Jane’s scenario, the measuring tape would likely have shown a reduction in her waistline from the previous reading, indicating that she may have actually lost fat during the week even though her overall body weight had not changed. Over a period of time, a lower trending waistline and overall body weight is a great indicator that you’re on the right track to a healthier you. Bioelectrical impedance scales quite simply work by sending a tiny electrical signal through your body and measuring how quickly the electrical signal returns to the scale. The electrical signal flows quicker through parts of the body composed mostly of water, like muscle, as opposed to bone and fat. Body composition scales send an electrical pulse through the body to measure resistance within the body and then work out your body composition via a complex formula. At anywhere between $80-$200 for a top of the range scale, are these devices really that accurate? In general, a faster signal return means less fat in your body. However, the formula assumes that your body is adequately hydrated and within a normal range for a hydrated adult. How can I tell if I’m dehydrated? According to the European Hydration Institute male adults should be drinking up to 2.5L (84.5oz) and women up to 2L (67.6oz) of water a day. These levels can change depending on your diet, age, environment, physical activity levels and many other factors. In dehydrated individuals the electrical signal takes longer to return because the muscles have less water in them. This in turn may return an inaccurate body composition reading. In general, bioelectrical impedance analysis is not regarded as a good tool to measure one-off body compositions but can and does play a major role in continuous body composition readings. 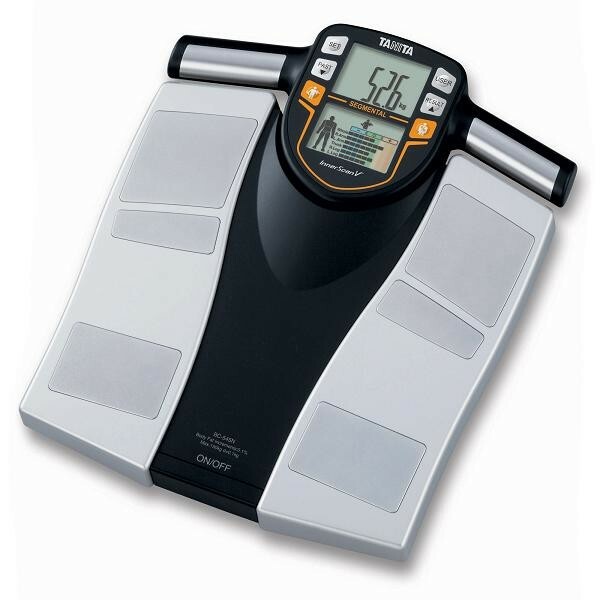 Body composition scales are very popular for the amount of detail they provide. Keep in mind that there are strict protocols to follow to obtain useful readings and they are more accurate at providing long term trends than one off readings. If you accept that the body composition readings may fluctuate on a per reading basis (and don’t pay too much attention to it) and then also accept that over time the overall trend is accurate (which it is) then you have a good method to track your overall body composition over time. Many of these body composition scales have awesome online tracking tools too, whether on a mobile device through one of their apps or within an online browser. It’s this particular feature set that makes them a standout for tracking your body composition and fat loss progress. The greatest benefit comes when you can open a chart and see your overall fat loss and/or lean muscle trend over a given period. You should either purchase a scale that provides this type of online tracking or purchase a 3rd party program where you can add this information manually. The most important tool in measuring fat loss is actually your long term tracking tools. These applications will highlight your long term trend and will provide a more accurate understanding of your fat loss over time than a one-off reading ever will. These type of scales have been shown to be very useful over a longer period of time, however there are some protocols for bioelectrical impedance analysis that do need to be followed. Generally speaking, you need to be hydrated within a normal range for an adult and refrain from sleeping, having a meal or exercising for anywhere up to 2hrs before jumping on the scales. It does leave only a small window of opportunity to take your measurements, however adhering to the above protocol will give you the most accurate readings. Things to also note about this type of scale is that it doesn’t work well with children and most manufacturers state that it shouldn’t be used by children or people with pacemakers for safety reasons. For the already lean or athletic types, you also need to be sure that the scale you purchase has an athletic body composition mode as the formula normally used will not provide accurate readings in most cases. Withings have a great range of tracking tools and equipment. 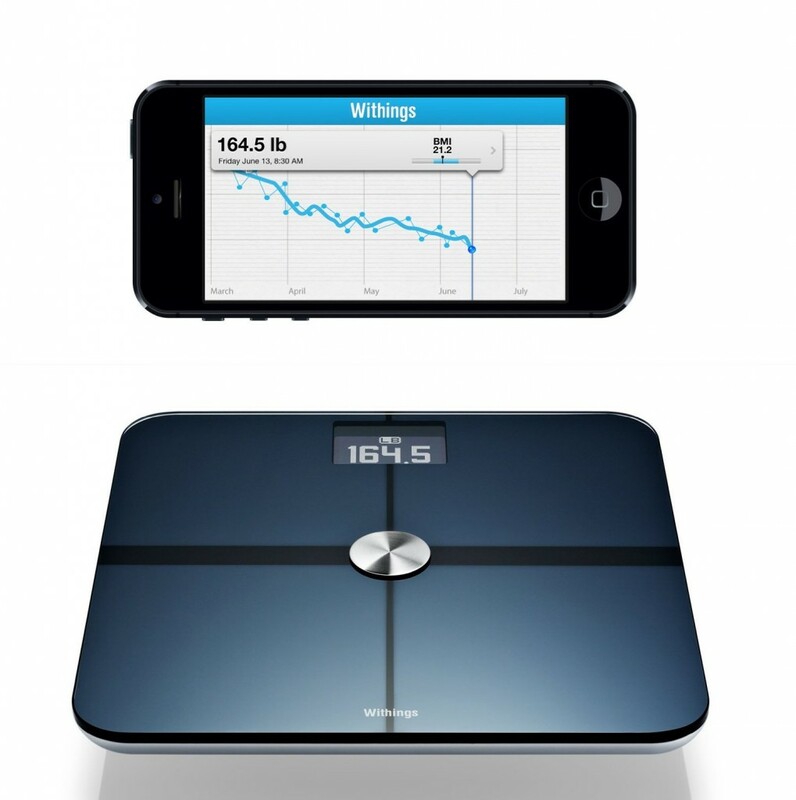 Their latest scale not only tracks your weight and fat but your heart rate and air quality. Talk about a smart device. I myself use the Withings Smart Body Analyzer with it’s associated apps and online charting tools to track my body composition in between my monthly DEXA scans. I find it an invaluable tool and very useful in my overall analysis of where I am in my cycle of bulking up for muscle or losing fat…I love my stats and tidbits of information. It may sound like something out of a Star Trek movie and believe me it even looks like something you would find on the starship Enterprise, but DEXA scanners are one of the most accurate and easiest way to measure your total body composition and body weight. Want the most accurate body composition in the shortest amount of time and least amount of effort? Then the DEXA scan is your measurement of choice. Initial Consultation can run at $150 and subsequent scans at $75. They work by emitting high and low energy x-ray beams and, as the their title suggests, by measuring the absorption of each beam into the different parts of the body. 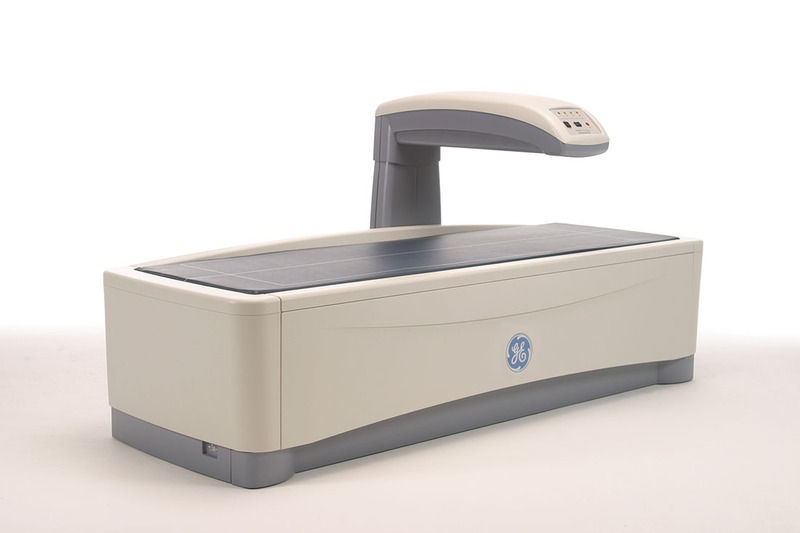 The scanner can measure things like lean body mass, fat mass and even bone density. Another great feature of this type of scan is that it can give you a reading per body part, allowing for a greater understanding of the muscle and fat distribution throughout your body. Imagine the possibilities of being able to ascertain if you put muscle on your arms (and which arm for that matter) more so than your legs this month and then adjusting your training sessions the following month based on your desired outcomes…this is why athletes and bodybuilders swear by them. You don’t need to be an athlete or bodybuilder to obtain the benefits of a DEXA scan. The main point here is that it’s quick, painless and one of the most accurate ways to obtain a complete body composition of yourself. You can gain a better understanding of the fat distribution in your body and whether you lost the bulk of your fat from your thighs as opposed to your midsection – a DEXA scan can give you that. A tape measure just doesn’t give you a complete insight of how much fat you have really lost and from where. The DEXA scan can provide a very accurate reading of your total composition with an accuracy of 1/10th of a gram. It can also tell you where you are putting on muscle mass and what regions of your body you’re losing the most fat from. All very useful information. Another issue is safety – are DEXA scans safe? People generally believe that x-rays can be dangerous to your health. DEXA scanners actually emit a much lower dose of x-ray than regular x-rays, and generally speaking you would only be exposed to 1-4 microsieverts. This is less radiation than you will experience on a flight from Sydney to Melbourne for example (about 1hr in duration). It should be noted that DEXA scans are not recommended for pregnant women. The other consideration is the cost – DEXA scans will set you back on average around $150 for an initial consultation and then about $80 for subsequent scans. Some health funds do provide a slight rebate, check with your provider. I head to measure up in Sydney around once a month for my DEXA scan. I take my shoes off and hop on the scanner table, the technician makes sure I’m aligned properly and then he starts the scanning process. It does three passes in total, that takes no longer than about 2 minutes. After the scan is done and while I’m putting my shoes back on, the technician deciphers the scan and by the time I’m done he has the results. We then track them on a spreadsheet and discuss what if anything I need to change in my daily routine the following month…it’s as easy as that. As you can see all of the above tools can be used to consistently track your fat loss journey albeit with varying degrees of accuracy. 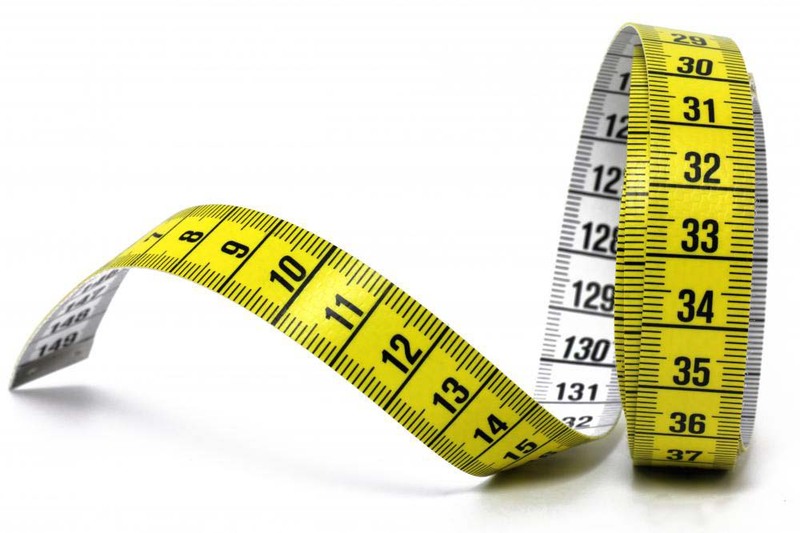 Whether you use the humble tape measure, the resilient bathroom scale or the bioelectrical impedance analysis scale, or a combination, the one constant that needs to be adhered to is the long term tracking of your data. It is the overall trend of these devices that will give you an insight into your fat loss journey and not the individual numbers alone. 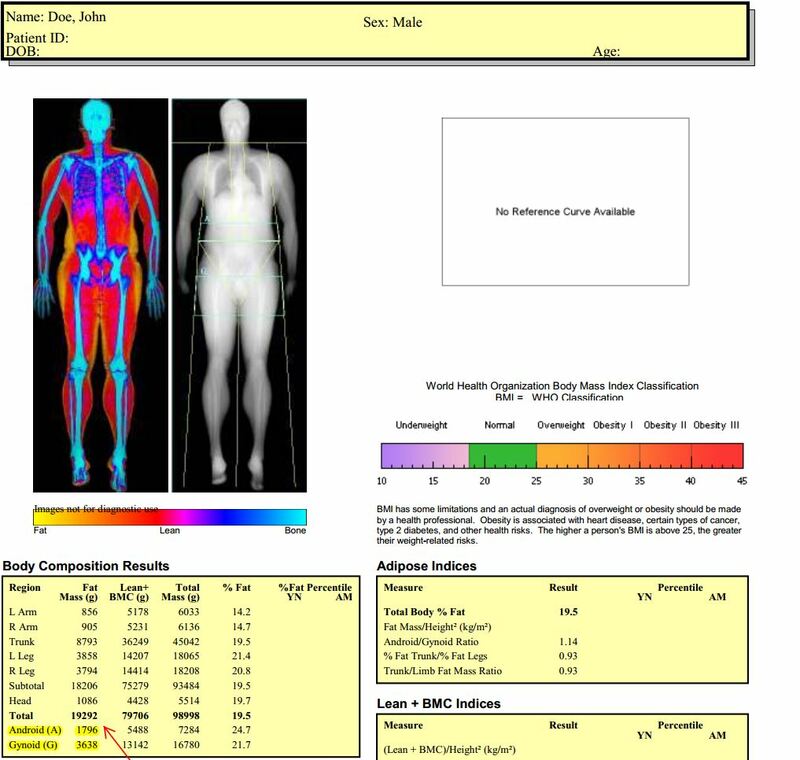 If you really want to know accurately what your body composition is, then we recommend you take a DEXA scan. I use all the above in some form or another. I have my monthly DEXA scan, I jump on my Smart Body Analyzer at least twice a week and take my waistline measurement every Monday. This combination is working for me personally, and you may find it works for you too, especially in keeping you motivated and focused on your journey. Here’s to good health and a leaner you.